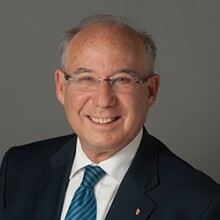 Dr. Jacob A. Frenkel is Chairman of JPMorgan Chase International and a member of the J.P. Morgan International Council. He also serves as a Chairman of the Board of Trustees of the Group of Thirty (G-30) which is private, nonprofit, Consultative Group on International Economic and Monetary Affairs. Dr. Frenkel served from 2001 to 2011 as Chairman and CEO of the G-30, from 2004 to 2009 as Vice Chairman of American International Group, Inc., and from 2000 to 2004 as Chairman of Merrill Lynch International, as well as Chairman of Merrill Lynch’s Sovereign Advisory Global Financial Institutions Groups. Between 1991 and 2000 he served two terms as the Governor of the Bank of Israel. He is credited with reducing inflation in Israel and achieving price stability, liberalizing Israel’s financial markets, removing foreign exchange controls, and integrating the Israeli economy into the global financial system. Between 1987 and 1991, he was the Economic Counselor and Director of Research at the International Monetary Fund, and between 1973 and 1987 he was on the faculty of the University of Chicago where held the position of the David Rockefeller Professor of International Economics and served as Editor of the Journal of Political Economy. He is a Fellow of the Econometric Society, a Foreign Honorary Member of the American Academy of Arts and Sciences, a member of the Economic Advisory Panel of the Federal Reserve Bank of New York, a member of the Board of Trustees of the New York Economic Club, a member of the Board of Directors of the National Bureau of Economic Research, of the Japan Society, and of the Peterson Institute for International Economics, a member of the Trilateral Commission, a member of the Boards of the Aspen Institute Italia and the Council for the US and Italy, a member of the Temasek International Panel (TIP), a member of the International Advisory Council of China Development Bank and a member of the Board of the Overseers of the Becker Friedman Institute for Research and Economics. He is also a member of the Board of Directors of Boston Properties, Inc. and Loews Corporation. Dr. Frenkel is a Laureate of the 2002 Israeli Prize in Economics, a recipient of the Scopus Award from the Hebrew University, the Hugo Ramniceanu Prize for Economics from the Tel-Aviv University, The Czech Republic’s Karel English Prize in Economics, the “Order de Mayo al Merito” (in the rank of Gran Cruz) decoration from the Government of Argentina, the “Order of Merit” (in the rank of Caveliere di Gran Croce) decoration from the Republic of Italy, and the YIVO Lifetime Achievement Award. He is also a recipient of several Honorary Doctoral Degrees and other decorations and awards, including the “1993 Economic Policy Award” by “Emerging Markets” and the “1997 Central Banker of the Year Award” by “Euromoney”. Dr. Frenkel serves as Chairman of the Board of Governors of Tel Aviv University. He previously served as Chairman of the Board of Governors of the Inter-American Development Bank (during 1995-1996), as Vice Chairman of the Board of the European Bank for Reconstruction and Development (during 1999-2000), and as a Governor of the IMF and alternate Governor of the World Bank for Israel (during 1991-2000). Dr. Frenkel is the author of numerous books and articles in the fields of International Economics and Macro-Economics. Dr. Frenkel holds a B.A. in Economics and Political Science from the Hebrew University of Jerusalem, and an M.A. and P.H.D. in Economics from the University of Chicago.